Like Wonderglow, this primer contains 40ml of product in a plastic tube (ideal for travelling) but in a white tube instead of a gold one. It's dispensed through a nozzle, which I like because I can control how much product I use. Regardless of which packaging you prefer, it's what's inside that counts. Brightening Youth Glow is light in texture, although not quite as liquidy as Wonderglow. The instructions say to apply over Charlotte's Magic Cream, but really, it will work regardless of the moisturiser you use underneath. It's scented lightly of roses and although it has a slightly pearlescent finish, however it's more subtle than Wonderglow. I find that it adds radiance rather than glow to my skin and it definitely helps to blur my pores and counteracts any dullness without looking fake. 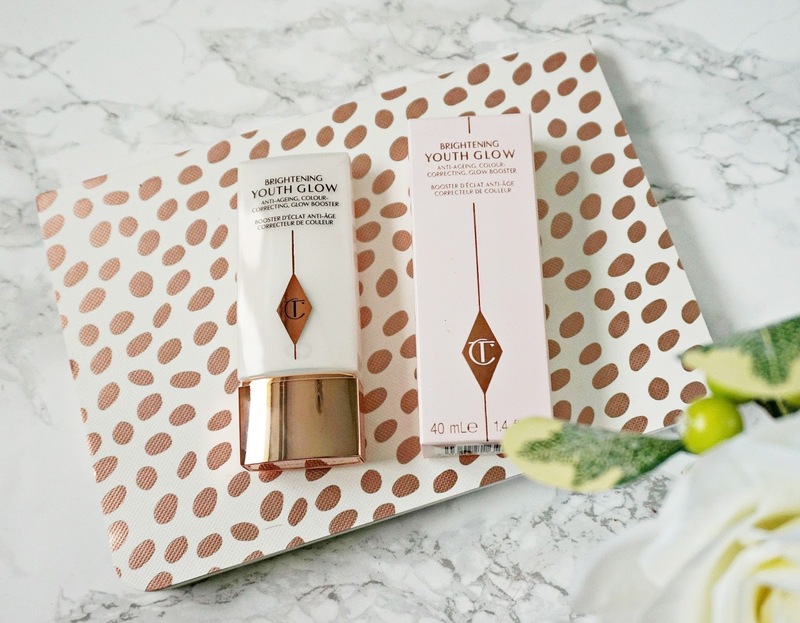 I find that all of my favourite foundations work well with this primer - particularly Becca Aqua Luminous Perfecting Foundation but it also works well with less dewy foundations like Natasha Denona Foundation X. If you have tried BECCA Backlight Priming Filter and found it to be too glowy then Brightening Youth Glow will be for you because it adds radiance without any shine plus it has added blurring properties. I am personally really enjoying wearing it on no makeup days because my skin looks even, plump and bright, my fine lines are diminished and it's lightweight. I don't find that it adds a lot of moisture but my skincare address my dry skin issues so I don't need it to do that. Overall, I am glad I bought it because it's different from other primers in my collection. Do you like the sound of this product? I'd love to hear your thoughts!